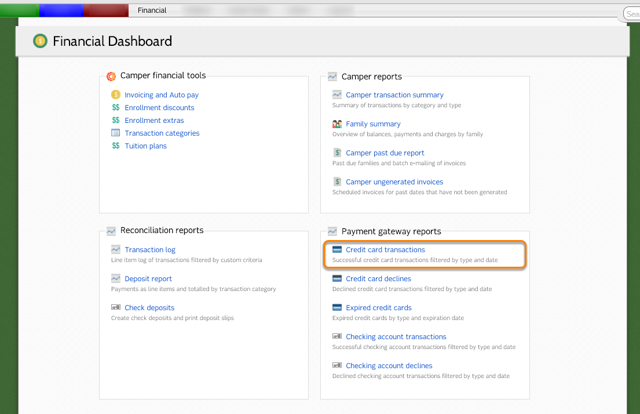 The Credit Card Transaction report allows you to see successful credit card transactions filtered by transaction type, card type and date. 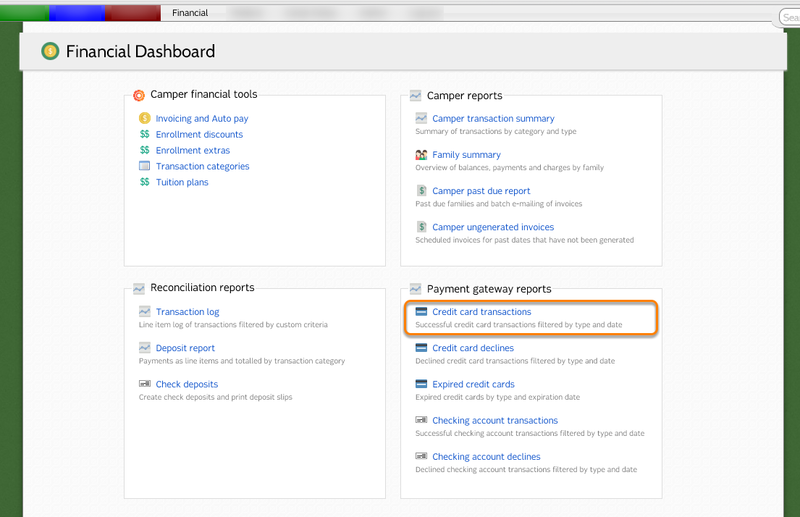 The Credit Card Transactions report can be found in the Payment Gateway Reports section of the Financial Dashboard. 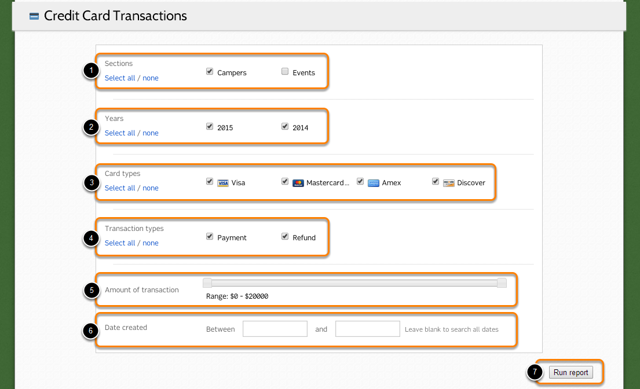 Transactions matching the selected criteria will display.